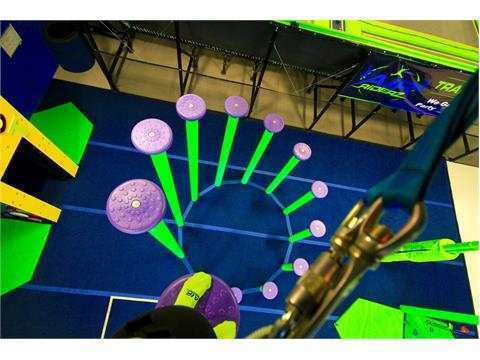 Air Riderz Trampoline Park is the only purely Canadian indoor trampoline park offering exceptional fun for all age groups; jump, dodge and fall in love. Trampolines, rock climbing, birthday parties, summer camps, adult fitness classes and more! Our facility boasts over 26,000 square feet of exciting and adventurous fun. 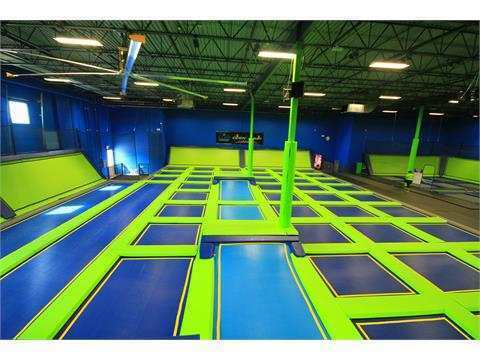 Experience wall-to-wall trampolines, including two dodgeball courts, three lanes of Slam Dunk Basketball, and a four-lane Foam Pit. 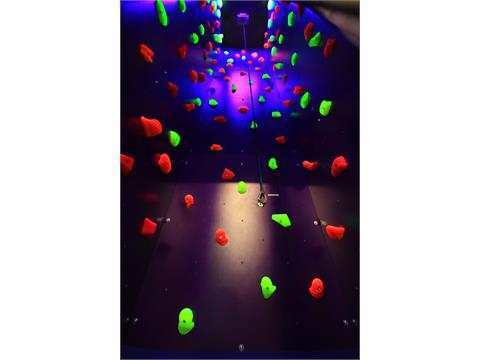 Air Riderz’ one-of-a-kind Climb Zone allows you to reach new heights with their exciting climbing walls, vertical challenges and Giant Slide. The facility features vibrantly coloured trampolines and spacious private party rooms for your next birthday or special event. 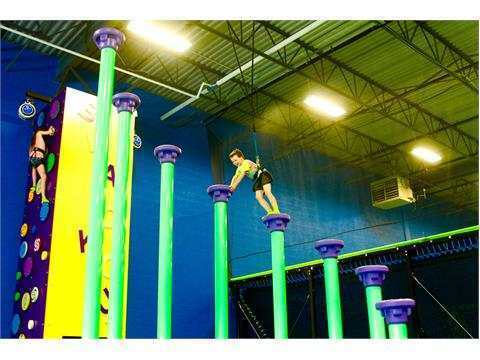 Air Riderz is conveniently-located on the Mississauga-Oakville-Milton border. 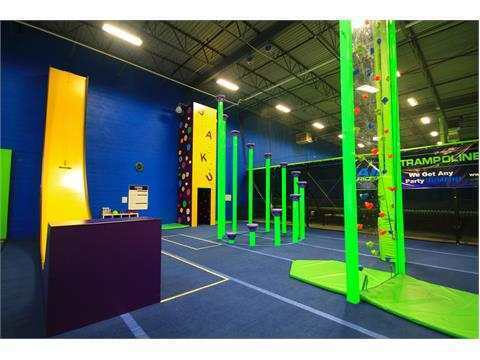 Aurora trampoline park with 15,000 square feet of trampolines for open jump, dodge ball, basketball, and a foam pit area and climbing wall.